Apple's new MacBook Pro with Retina display isn't just the best looking MacBook of all time, it's the best portable performing Mac money can buy. With the power of Apple's very own snappy SSD storage, a magnificent 2880x1800 screen resolution and powerful processing power all packed into a slim unibody enclosure, your $2,200 are just about worth it all. 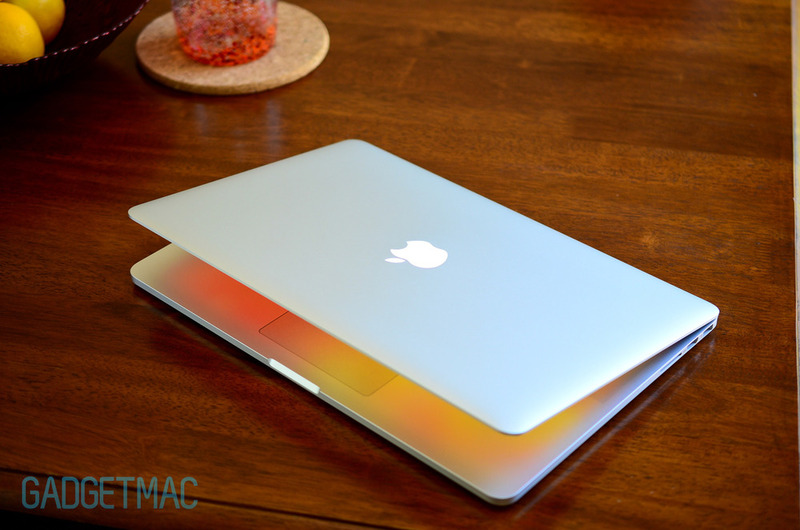 All things aside, we think the Retina display is really the cream of the crop and should be the first decision factor you should be thinking about if you're looking to grab yourself a Retina MacBook Pro. It should be a no brainer for industry professionals, photographers and graphic designers. The new behemoth resolution opens up quite a lot of incompatibility on the web, however. Sites, apps and photos that aren't Retina-ready will look drastically worse than you've ever seen them before. It'll take time until developers learn how to best support such high display resolution. In the meantime, the MacBook Pro's Retina display is unbelievably sharp, clear and full of rich vivid contrast that looks incredible from any angle. Text looks beautiful regardless, and Apple's own apps including OS X Lion and Mountain Lion fully support the Retina resolution. Most if not all third party apps don't, at least as of today. We noticed so much more detail in just about everything compared to using ordinary, albeit high screen resolutions. It's pretty amazing, and something you just need to experience first hand. If you're viewing our hands-on photos with a non-Retina display, you have no idea how much sharp detail you're not seeing. Subtle textures are much more pronounced by the Retina resolution. Our hands-on gallery is down below! Scroll thru, click an image to see it full size. The Retina Display and the form factor on the next-generation Macbook Pros are nothing short from amazing, but iFixit recently revealed this revolutionary product's internals and uncovered unfortunate results. 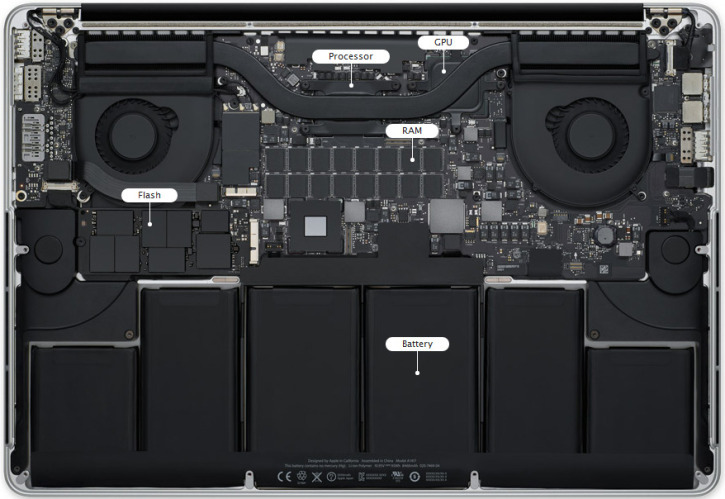 The internal design of these Macbook Pros are completely custom to Apple, the SSDs utilize different connectors that are not compatible with third party SSDs, and the RAM is soldered onto the logic board. The MVP of the entire laptop would be its beautiful display, but if you're not careful, you'll have to get yourself a brand new laptop. Without any extra glass in front of the display, damage to the screen would be completely irreplaceable.To further prevent any customizability for us consumers, Apple aligned and set the battery cells directly on top of crucial cables. It seems like Apple is pushing customers to purchasing upgrades through them directly. It is a shame that the Pro line cannot be self-upgraded as a lot of us look forward to the customizability of adding additional RAM or more harddrive space. Would you look at that. 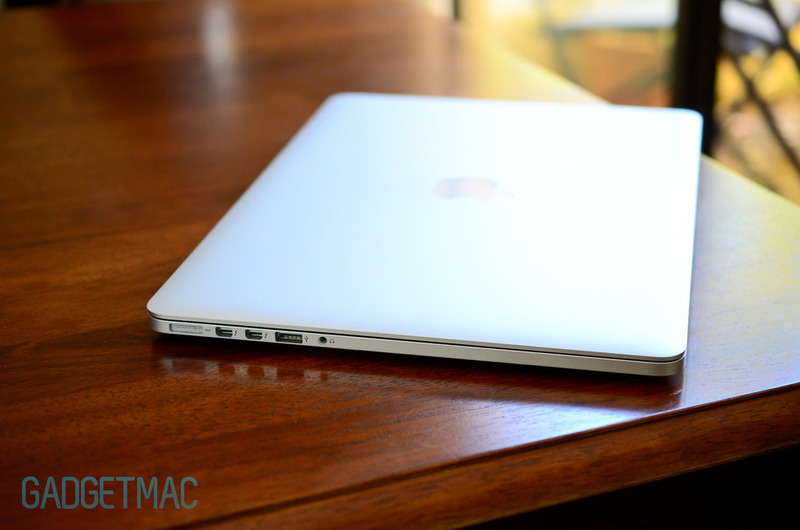 Apple's newly announced, beautiful 15-inch Retina Display sporting MacBook Pro is brandless. At least from the user's point of view. 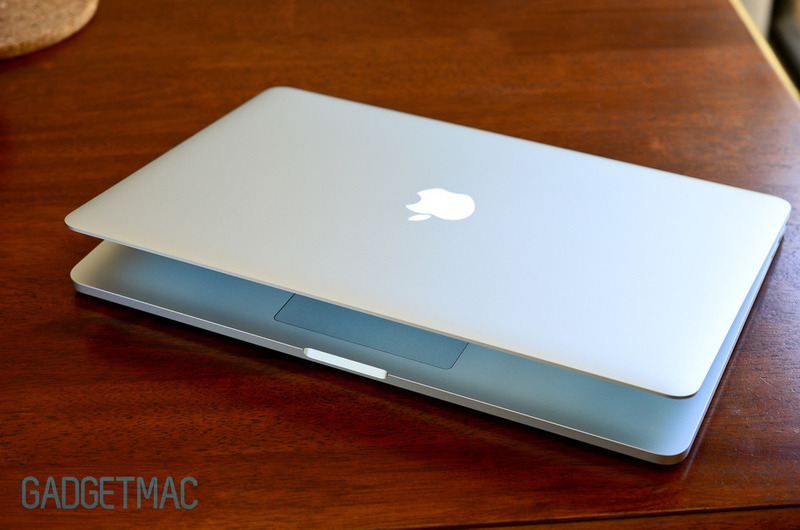 While Apple's entire portable MacBook lineup has its respective identify written on the bottom screen bezel in silvery lettering, the redesigned MacBook Pro with Retina Display is cleaner looking with only the iconic white backlit Apple logo taking its rightful place on top of the aluminum lid. After months of rumors and speculations, Apple has announced the next-generation MacBook Pro with Retina display that is going to accompany Apple's original MacBook Pro lineup which has only seen spec bumps, respectively. It packs a 15-inch Retina Display that boasts deeper blacks, wider viewing angles and reduced glare with a whopping 2880x1800 resolution with 220 ppi and a thinner aluminum unibody casing at 0.71 inched thick whilst losing the optical drive just as we predicted, and weighing at 4.46 pounds. This is a redesigned 15-inch MacBook Pro that shares the same non-user upgradebale hardware as the MacBook Air lineup, only that it offers Pro powerful performance at a thinner form factor. Apple's next-generation Retina MacBook Pro features a quad-core Intel i5 or i7 Ivy Bridge processor, up to 16GB of RAM, and Nvidia Kepler GeForce GT 650m GPU with 1GB of VRAM. Storage is SSD-exclusive with a 256GB SSD on the entry-level with an option to go all the way up to a 768GB SSD. Battery life is rated to 7 hours, and ports include an SD card slot, HDMI, USB 3, two Thunderbolt ports, and a headphone jack. The new Retina MacBook Pro comes with Bluetooth 4.0, a redesigned slimmer MagSafe 2 power connector, backlit keyboard and a new ultra quite fan. 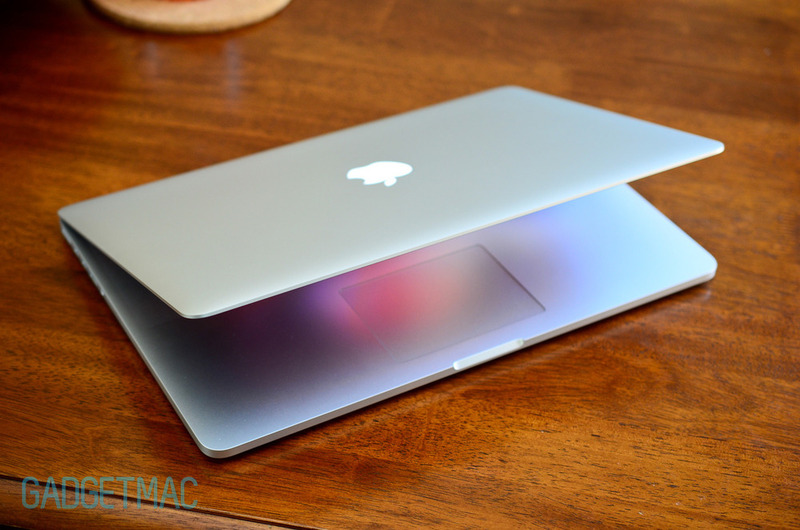 Unfortunately, we're not getting a larger Multi-Touch glass trackpad this time around. Apple has also announced a FireWire 800 and Ethernet Thunderbolt adapters that will make good use of the new MacBook Pro's two Thunderbolt ports. 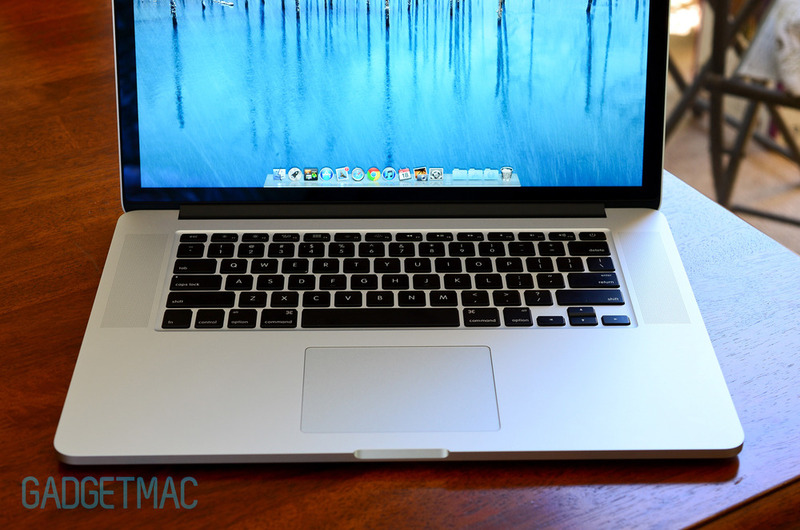 The entry-level Retina MacBook Pro with a 256GB SSD, 8GB of RAM and a 2.3GHz quad-core Intel i7 processor and packing the world's highest resolution display will set you back $2,199. They're shipping today.